Iraq has been one of the key contributors to the uptick in OPEC oil production over the past year and a half. 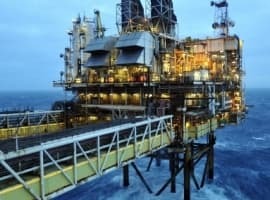 Despite the fact that the country’s crude oil output has continuously been plagued by security concerns and faltering payments to international oil companies from both the Kurdish regional government (KRG) and Baghdad and an ongoing row over oil export rights, it has still managed to ramp up production to record levels. Iraq’s consistent and record oil output last year is, by and large, contributable to the production in the south of the country. According to a January 16. Reuters report, exports from its southern region have been running at 3.297 million barrels per day (bpd) so far in January, representing around 75 percent of the country’s total production. 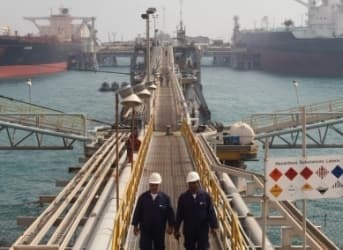 Iraq’s South Oil Co.’s Deputy Director Salah Mahdi told Reuters in an interview that Iraq’s southern oil exports have been running smooth over the last year and in spite of recent tribal violence in the region, he expects the company’s drilling and export activities to continue undisturbed in 2016. OPEC has Iraq’s oil production at 4,309 mmbpd in December and estimates its rig count at 51. No reason to worry about Iraq’s oil future it seems… or is there? As mentioned, the lion share of Iraq’s oil is produced by Iraq’s South Oil Co. around its main export facility, in the province of Basra. The chart below shows the oil deposits in Iraq and all the yellow spots are either giant or supergiant oil fields. 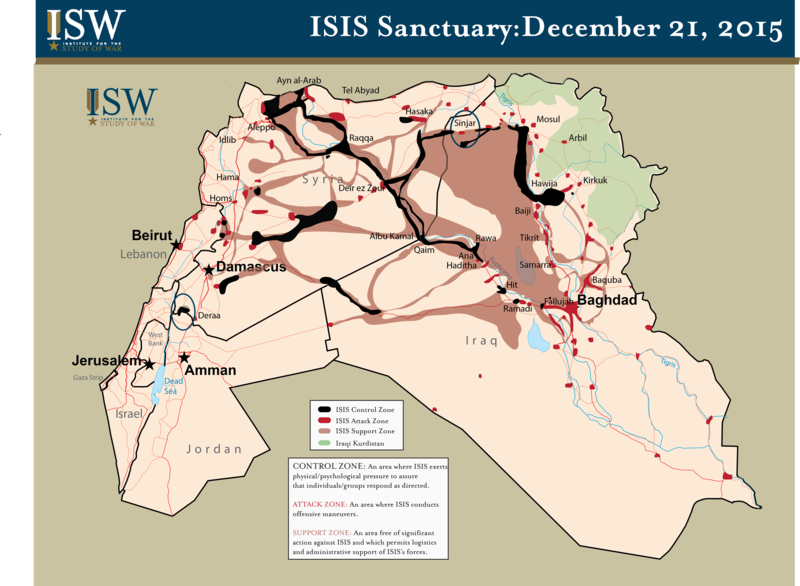 Even though the oil production around Basra is relatively far away from the ISIS controlled areas in Iraq and Syria, it was the same Iraqi government which was unable to prevent the fall of Mosul, Iraq’s second city, and Ramadi, which has supposedly been liberated from ISIS, although the city is far from safe yet. As the fight against ISIS continues in the north and west of Iraq, Shiite tribal violence has noticeably increased in Iraq’s Basra province after the withdrawal of security forces. The vacuum has given plenty opportunity for tribal militias and criminal gangs to take a hold of the province’ main connecting roads with robberies, kidnappings and hijackings as a result. Last October, the South Iraq Oil Co. itself became victim of the violence as gunmen stole $500,000 in salaries from the company. Although significant damage to oil assets has so far not been reported, most of the uproar has been dangerously close to the major - 200,000+ bpd - Qurna and Majnoon oilfields in which Shell and ExxonMobil are operating. Recently, the Baghdad government has seen some success in suppressing the violence after moving in a complete army division and an intelligence unit in order to secure oil assets and bring down tensions in the oil rich city. Many however doubt the effectiveness of this military operation as local tribal clans as well as the local population resent the Baghdad government, with which they do not wish to share their oil profits. This tension and resentment should be a concern for the Baghdad government as it relies for around 95 percent on oil exports. Government revenues are down sharply with the fall in oil prices – oil prices are down about 70 percent since 2014 and already down 30 percent since the beginning of this year. Not to mention the discount Iraq is forced to give on its crude as competition has grown fierce over the last months. Is it pump or drown for Iraq in 2016? Iraq has recently reached out to some of the world’s oil majors in an attempt to secure investment for its southern oil fields as some of its legacy oil fields are in decline. The Iraqi oil ministry and the Iraqi South Oil Co. are wooing ExxonMobil and PetroChina for a multi-billion dollar enhanced recovery project to boost production in some of the declining oil fields. The before mentioned Qurna West and Majnoon oilfields are also set to be revived using enhanced oil recovery techniques. But as oil majors are massively scrapping new projects and have simultaneously cut their capital expenditure, not only are megaprojects and offshore projects being shunned but also oil projects that carry a high political or security risk may end up being left out. Royal Dutch Shell has already announced that it will suspend new investment in further development of the Majnoon field and ExxonMobil has not shown itself too eager to take part in the multi-billion dollar development of Iraq’s southern oil fields. In spite of its deteriorating security situation in the south and the decreasing interest to invest in its new oil developments, one should note that Iraq, together with Iran and Saudi Arabia still have some of the lowest breakeven costs to extract a barrel of crude on a global scale (see below chart). 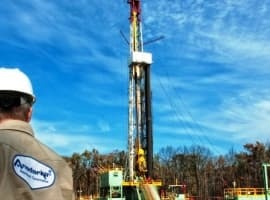 The question if OPEC’s second largest member can continue to ramp up its oil production significantly in 2016 will depend first and foremost on the Iraqi government’s ability to reimburse international oil drillers who invest in oil projects (Iraq uses a sort of unique model to reimburse international oil companies that invest in its oil projects). 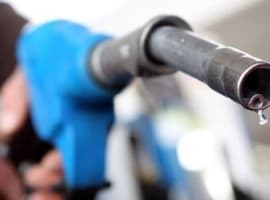 September 30th of last year, the Iraqi government had to ask international oil companies to scale down investments in order to be able to secure revenue payments to these companies in 2016 as it foresaw lower revenues due the drop in oil prices. It is most likely that this message has impacted the willingness and ability of the bigger foreign oil companies to invest and further develop Iraq’s southern oil fields. Secondly and equally important, Iraq’s ability to provide a secure environment for its oil producing personnel and assets will determine how success these investment become. Lastly, a possible OPEC decision to stage a production cut, in which Iraq would have to participate, could alter output levels. Considering all of this, it seems unlikely that Iraq will see any meaningful gains in production in 2016.